On Monday I posted a big recap on SIBA the event, but felt that it was somehow incomplete. Having shared all the events with you in what became a super long post, I realized there was no way for me to fit in the author component of the weekend. So, I decided to write up a post for today that shares a little bit about the amazing conversations and experiences that our little group of bloggers had with the authors of SIBA. Our first author sighting came when we had a wonderful and funny conversation with Taylor Polites, whose first book, The Rebel Wife is sure to be a favorite of mine. Taylor was relevant and erudite, and explained the backstory and influences surrounding the creation of his book. We were lucky to bump into Taylor quite a few times over the course of the weekend, and each time we did, he had a kind word or funny story to share with us. Our next author encounter was with the elegant and intriguing Jennifer Niven (Velva Jean Learns to Fly) an author whose books readers have come to relish and love. We spoke with Jennifer for a few minutes before her panel, and she shared a little bit about her previous non-fiction book, which dealt with the 1913 Canadian Arctic Expedition (which I have to say is a must read for me!) and her current project of turning her best selling book The Aqua Net Diaries into a television series. Jennifer was friendly and attentive to our every question, and got me very excited about perusing her pages. Later that afternoon, we were lucky enough to get to spend some time with Alma Katsu, the author of The Taker, which was a book I really relished. Alma shared the intricacies of creating the book and told us how the next books in the series were progressing. For those of you that have read The Taker, there are some pretty big surprises coming up in the following books! Alma shared a little about what her life was like before becoming an author, and we peppered her with questions about what it was like for her to concoct the amazing story she did. She was extremely friendly and put us all at ease, and we all enjoyed her company so much that our time with her just flew by. Saturday morning on the exhibition floor, we were very excited to get the chance to speak with Tom Franklin, whose book Crooked Letter, Crooked Letter was a blogger favorite. Tom was extremely down to earth and gracious about meeting a little pocket of fangirls. He told us a little about what he’s working on now and shared a bit about his family with us too. He even agreed to pose for a picture with us before heading back to immerse himself in the festivities. Saturday evening, the bloggers were both excited and lucky to have won the bidding to dine with three favorite authors, and we were delighted to discover that we would be sharing our table with a fourth as well. We all headed downstairs to climb aboard the bus that would take us to Vickery’s Bar and Grill. The authors we were lucky enough to have join us were Marybeth Whalen (She Makes It Look Easy) Wendy Wax (Ten Beach Road), Lisa Patton (Yankee Doodle Dixie) and Jim Minick (The Blueberry Years). Our dining companions were lively and entertaining, and a great time was had by all. There were some great discussions about books, blogs and life, and the southern food was to die for! The four of us had many, many great interactions with the authors of SIBA this year, and though I’d love to share each and every little story and detail with you all, I chose just a few of the many amazing meetings we had to share with you today. I’m telling you, if you want great times with great authors and you want to be totally immersed in the world of books, SIBA is definitely the place to be. I couldn’t have imagined a more wonderful weekend, and I’m already thinking about next year’s trip! Wow, sounds like a great event. Glad you had so much fun. I am jealous! I wish Montreal had more events. Sounds like you had a lot of fun! There are several authors I wish we'd gotten pictures with - like Wiley Cash. 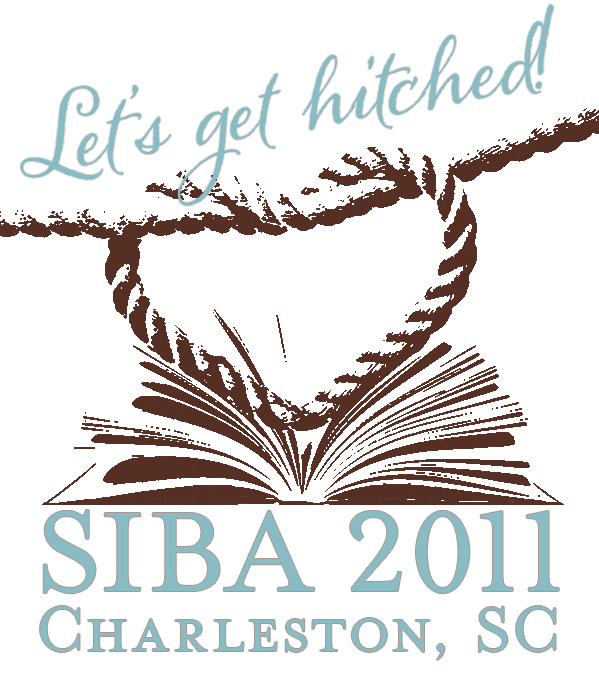 SIBA was so much fun this year! I started to send you a text yesterday to tell you that I miss you, but I was afraid you might think I was crazy! Oh! How happy it is when book lovers and lovers of literature meet to discuss the books with authors. I love meeting authors. And any time I do, I feel like I am understanding their stories, if I have already read them, more. Thanks for sharing this exciting meeting and festival with us. I love it when readers and authors get to mingle easily and naturally! Another great recap. Love the line about Tom and his fangirls! SIBA definitely sounds like it has quality versus quantity over BEA! You're still making me jealous! I love how intimate you make it sound. I'm not inclined to travel to BEA often because it's so big, but regional events sound much more manageable (and easy to get too!) Thanks for sharing so many great tidbits with us! I would love to meet so many of my favorite authors. What a great event to attend. I'd love to meet Wendy Wax - if her personality is anything like her writing then I bet she's hilarious. Again, I'm glad you all had such a great time. Thank you for sharing this! I wish I had joined you guys too - sounds like you had so much fun! I love that you guys won the bidding to dine with the three authors! Glad that you had so much fun! Was your car groaning from the weight of all the books you and Sandy brought back? Zibilee, I'm glad you enjoyed SIBA so much. Terrific pix! It really sounds like a special event x 1000! I wonder when these events will be televised--or turn into a talk show with book bloggers and authors! Loved this post, Heather. Thank you for writing it in addition to your post about the event. I just spent almost an hour looking over Jennifer Niven's website! 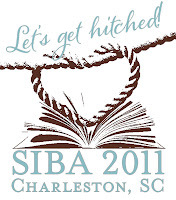 SIBA sounds like an event where you get to know or spend time with the authors more than at many of the other book 'festivals'. Yay for friendly and chatty authors!! Have You Gotten In On Club Read Yet?